The path from discovery to purchase by shoppers in Latin America is no longer a straight line, mostly due to the emergence of mobile technology. Facebook IQ commissioned Ipsos MediaCT to study online shoppers 15 and older with plans to shop in stores last December or this past January in the four most populated countries in Latin America: Argentina, Brazil, Colombia and Mexico. They look to product reviews on digital channels six times more than to family and friends. 66 percent check in on Facebook while in stores to unlock discounts. More than 77 percent post their own product reviews after purchases. One-quarter make their shopping purchases on their smartphones, but 26 percent prefer not to shop online. Offer an omnichannel experience: The new “path” to purchase crosses all channels. Connected shoppers glide seamlessly from researching on mobile to unlocking in-store promotions and posting product reviews after purchase. Sometimes a single bad experience or confusing website can be enough to prevent a potential shopper from coming back. Other times, a frictionless, integrated experience may be the reason shoppers choose one brand over another. Brands that succeed in this new ecosystem will be the ones that deliver seamless, consistent experiences for all shoppers, however they choose to shop. 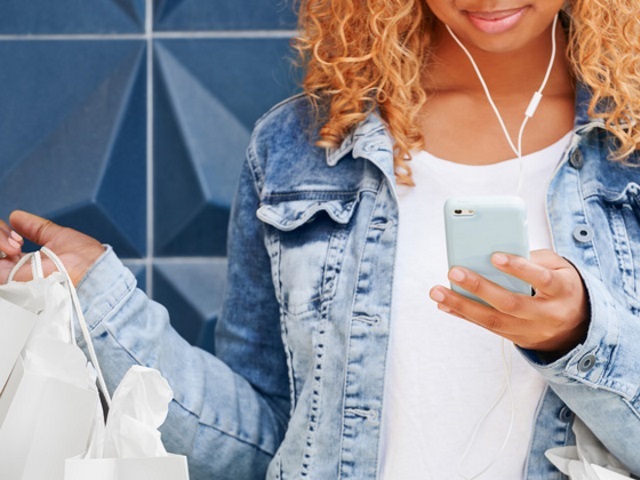 Create continuous connections on mobile: No matter how complex a shopper’s journey, mobile is often the key to reaching that shopper in the moments that matter most. Brands will want to ensure that they are delivering a best-in-class mobile experience, catering to each shopper’s differing needs throughout the journey. Nurture “nonline shoppers”: To convert the 26 percent of shoppers who don’t shop online, brands can address their barriers—the first of which is a shopper’s desire to see what they are buying. Brands and retailers can use shared photos, videos and customer recommendations to help shoppers feel more confident in their purchase decisions. Furthermore, as 38 percent of shoppers don’t actually have credit cards, brands have a major interest in developing solutions to bridge online and offline touchpoints—for example, giving shoppers the option of ordering/reserving online but paying in cash in store. Readers: What did you think of the findings by Facebook IQ and Ipsos MediaCT?